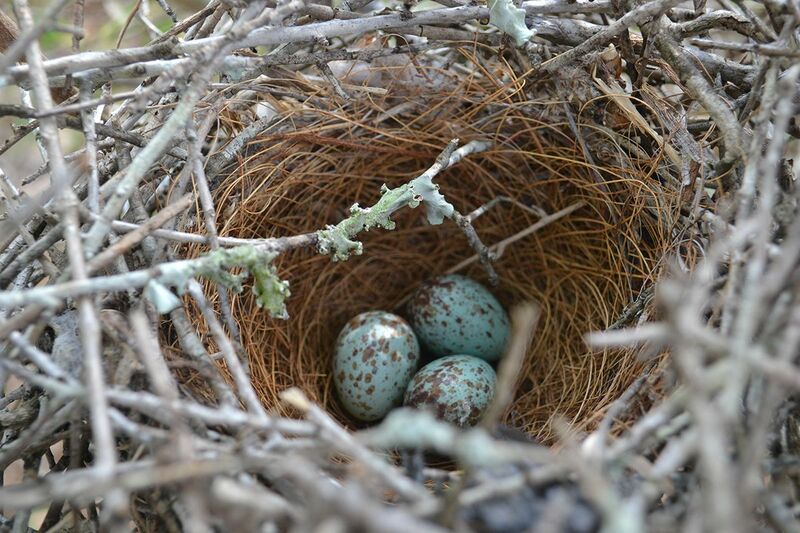 Photo of a bird's nest with eggs. A nest is a structure made by some birds, insects, or small mammals to lay eggs and live in. Nests are often made of sticks, leaves, fur, and other found objects.